In the last couple of years, the trend of creating websites in WordPress has increased significantly. As WordPress is an easy to use content management system. Every other blogger who uses wordpress, wishes to acquire the best wordpress theme for their website. But most of them ( Including you) are confused where to buy the best wordpress theme for their website. So keeping this demand on our mind, we are here to list 5 best places to buy wordpress themes. These websites are best for finding a variety of professionally designed, responsive wordpress themes at a reliable price. So without wasting your time, here we are listing 5 best websites to buy wordpress themes. In our list, mythemeshop is the first and the best place to buy wordpress themes. From this website you can buy any theme for as low as $35. 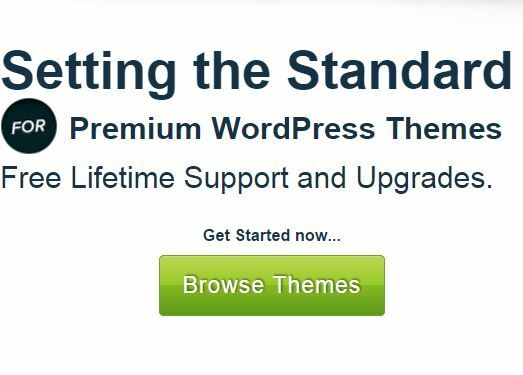 And you can also get access to 81 (all their) themes for as low as $67. Responsive themes (Work on all devices). Trusted by more than 175k users. Mojo-themes is another best wordpress themes site having more than 1000 themes. They have almost every type of themes including business, woocommerce and eCommerce wordpress themes. And here comes the largest WordPress themes marketplace with with over 4000 WordPress themes. Themeforest is having a variety of WordPress themes for every type of WordPress blogs and websites. Whether you are running an ecommerce site or a non-profit website or any other type of website, you will end up finding the best suitable theme for your website from themeforest.